Rooted in the can-do attitude of the Dairyland State, Kenosha County is an area where determination and leadership abound. It’s a place where manufacturers and visionaries first saw opportunity more than 100 years ago among the prairies, beaches and forests, and haven’t stopped seeing it since. Known as a midpoint between the metropolitan giants to the north and south, our county carves its own path rather than stands in its neighbors’ shadows. Here is where big-city business shakes hands with small town sensibility. This is a place where it’s not unusual to buzz home on your lunch break or make a 5:15 t-ball game without breaking a sweat. We take pride in getting to know one another and proving that “community” is more than a cliche. Kenosha County is at the heart of it all, flourishing with entrepreneurs, entertainment and plenty to explore. Here is where individuals, families and businesses come to be inspired and lead change, to connect with nature and their communities, to chase and achieve success. 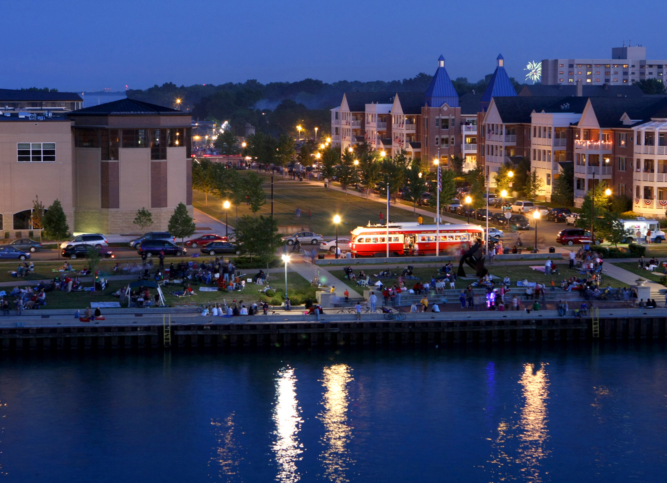 Kenosha County is proud of its past, and poised for an exciting future. Kenosha is where you experience life perfectly centered. Historically, Kenosha is a manufacturing town. Generations of laborers have worked in one of the many factories that sprang up along its lakefront and throughout the city. Companies such as Simmons Mattress, Snap-on Tools, S.T. Cooper & Sons (known today as Jockey International), American Brass, MacWhyte, or one of the numerous auto plants including Jeffrey, Nash, Rambler, American Motors and most recently Chrysler, called Kenosha County home. Because of this legacy, Kenosha's workforce came to value skills like craftmanship, ingenuity and hard work. They take pride in what they produce, as their fathers and grandfathers did. 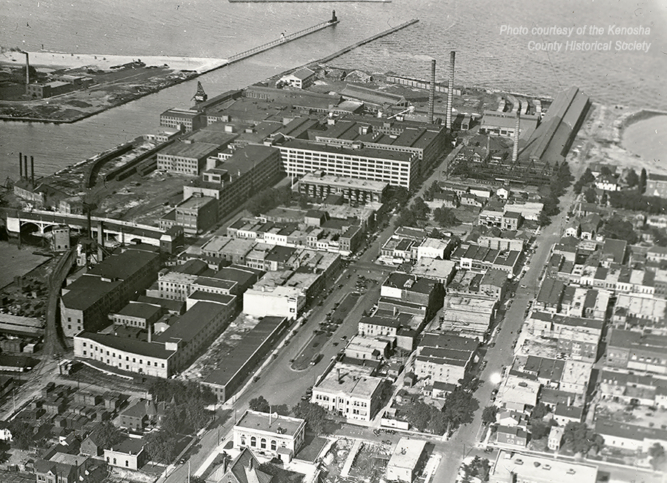 Kenosha was built on manufacturing. Manufacturing in Kenosha County is as important as ever, employing nearly 7,000 people here. It's no longer cars rolling off the assembly line; it's a diverse and exciting mix of innovative products. Companies like Allied Plastics are manufacturing large body parts for John Deere tractors while Mikrotech is producing medical devices that fit on the tip of your finger. 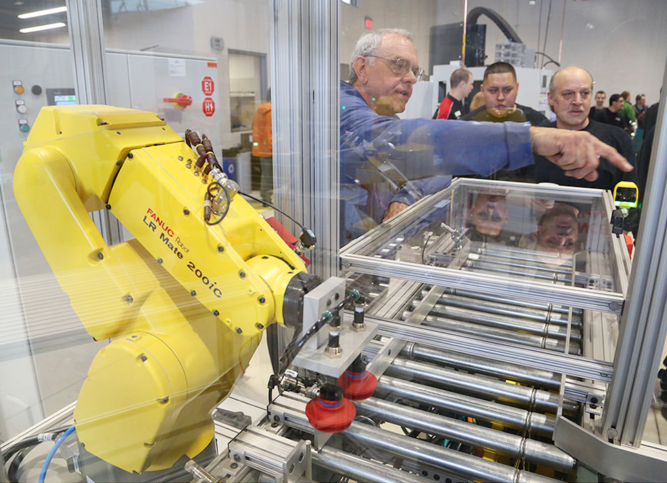 Manufacturing has evolved, and the plants today are advanced facilities that are highly automated with equipment that requires an advanced skill set to operate. But that's only part of the story. Many other industries have become just as important in recent decades including company headquarters and professional services, food processing, distribution and logistics and many more. Kenosha was once a bustling, busy port city. It's original name - Southport - was a nod to its southernmost location on the lake. Kenosha has a distinctly Italian heritage, with many immigrants - especially from the southern Italian regions around Calabria - settling here and creating tight-knit communities, worshiping in its churches, making and sharing food and working in its factories. Kenosha County leaders wanted to be strategic about fostering a positive business climate and diverse industry mix. 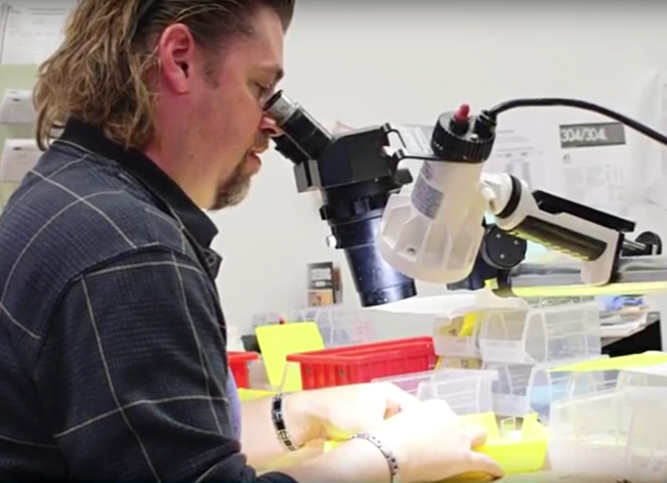 They systematically created an environment that partnered with existing business to help them thrive and welcomed new business that wanted to relocate here. They carved out space for them and developed the largest business park in the state - LakeView Corporate Park - as well as the Business Park of Kenosha and several others. Kenosha County then financed a pool of revolving loan funds to help businesses get to that next level and established the High Impact Fund to help bring in quality developments. At the same time, progressive and responsive educational resources like Gateway Technical College and LakeView Technology Academy were founded and supported to help provide skilled workers for these companies. Kenosha County is proud of its past, and poised for an exciting future. Kenosha County is one of the fastest growing areas in Wisconsin. The City of Kenosha is the fourth largest city in the state and projections do not show this trend abating any time soon. Benefitting from migration in from especially northern Illinois, Kenosha County also has a lower median age than its neighbors. Read more about what makes this area unique. In the last four years, more than 8,000 jobs, $1 billion in capital investment, and 9.5 million square feet of development have been announced. These projects are coming from a diverse set of industries, from company headquarters to food processing to advanced manufacturing and logistics. Read about some of the companies that are shaping Kenosha County’s future.